Rugged Sierra Nevada high country. 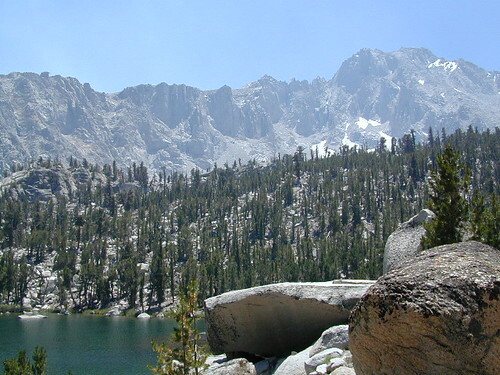 The highest peaks in the Sierra Nevada mountains can be found inside this Wilderness. Many peaks are well above 13,000 feet. Granite, glaciated basins, big snow, alpine lakes, meadows, wildflowers, streams, creeks, cliffs, jagged peaks. Mount Whitney stands as the tallest mountain in the lower 48 states.